The Association of Ghana Industries (AGI) has slammed government over the recent nine percent increment in the prices of petroleum products. According to the association, the increment could totally collapse industries in Ghana if steps are not quickly taken to address the problems. The AGI made this known in a statement signed by James Asare-Adjei, its president. 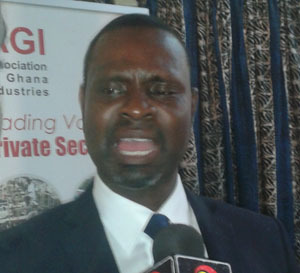 “The Association of Ghana Industries (AGI) is deeply worried about the nine percent increment in price of petroleum products, particularly coming in the wake of a worsening economic situation. Businesses are currently under serious pressure from the 22 percent policy rate, erratic power supply, cedi depreciation and the difficulty in accessing bank credit, among others. Businesses can hardly survive under these conditions,” the association stated. Business operators across the country currently buy fuel at high cost to run their generators, and this would increase the cost of doing business. The association noted that Ghana was rapidly losing its competitiveness to other sub-regional economies. “It is worthy to note that the net change in world crude oil prices over the last six months points to a decline. Industry believes a sound monetary and fiscal policy coherence that takes cognizance of the business climate will ensure a stable macro-economic environment to enable private sector growth in the Ghanaian economy going forward,” the association said. The National Petroleum Authority (NPA) on Sunday announced an increase in the prices of petroleum products.